Lushpups four poster pet bed is a little over the top but who else could pull off crystals on her bed frame than Lacey? Not me. 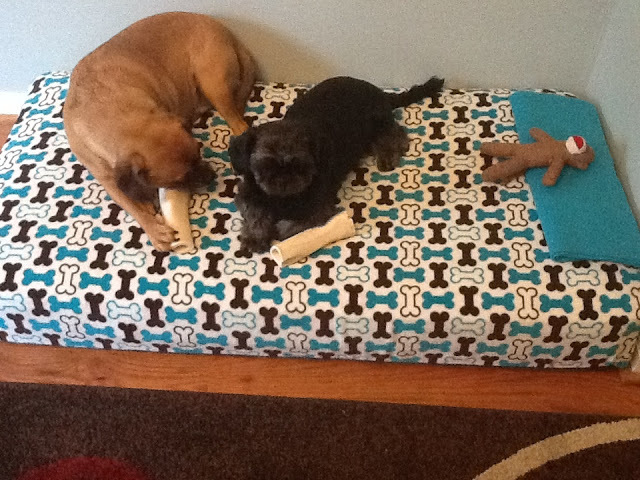 Lucy Designs made this dog bed from a discarded end table, finals, and a whole lotta talent. I have a thing for leopard print. 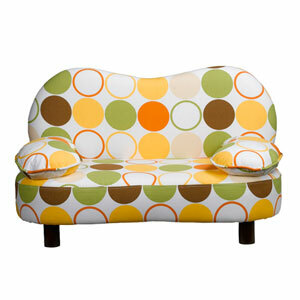 I also have a thing for recycled materials. This dog bed from an end table from Lucy Designs combines both. Least you don't think this will be a post full of end table dog beds, Gail from My Repurposed Life turned an old chair into this cute dog bed. 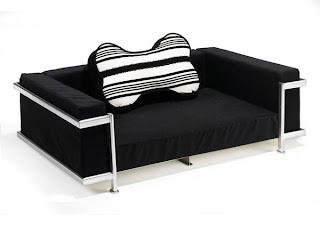 Maybe a sofa style dog bed would be better for the living room? I could totally make Calling All Dogs retro dot lounge with my mighty jig saw. I love the dots! 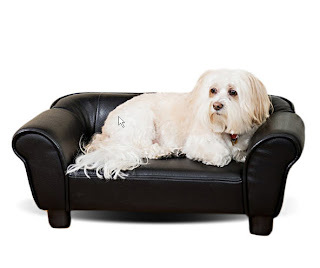 A leather dog sofa dog is just right if your dog likes to retire to the study for brandy and cigars after dinner. See more leather dog sofa beds for large and small dogs here! 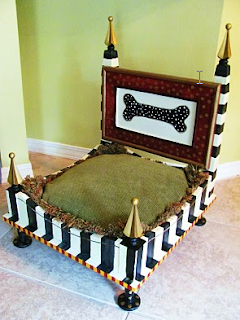 That's not to say, you can't dress up a more traditional dog bed either. 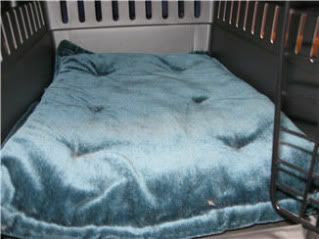 My DIY orthopedic dog crate pad will fit nicely into. 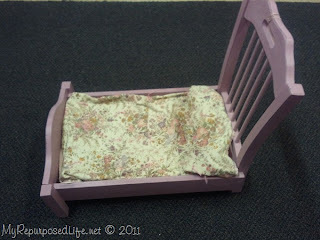 Learn how I made this crate pad here. ...my wine crate dog bed or toy box. 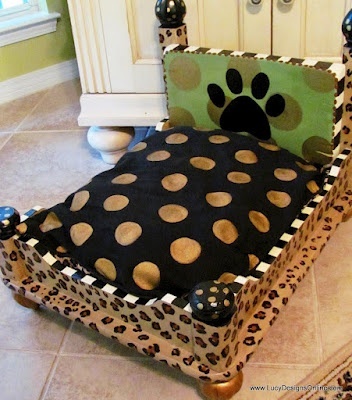 If you pop my wine crate dog bed on bun feet and you have this bed from Posh Puppy Boutique. 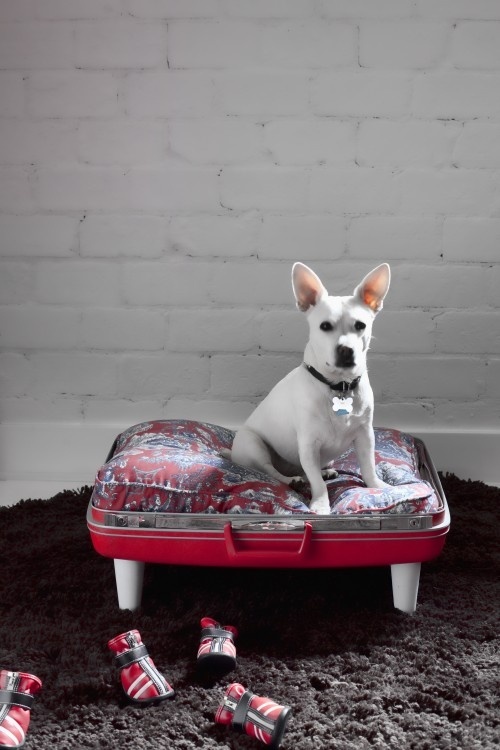 I adore this retro suitcase dog bed from Houzz! 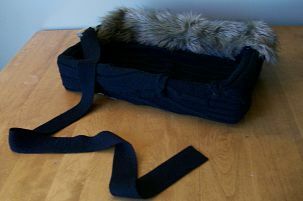 Stow&TellU repurposed an old sweater into a cat bed but I'm sure a small dog would like to nap in it too. I love, love, love this walk up dog bed idea because it allows you to sleep with your dog in a way that still keeps the human as pack leader because each of you still have your own bed. 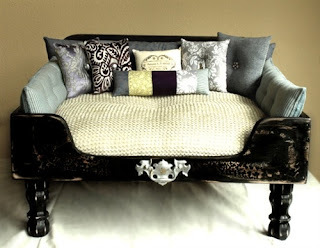 I pinned this project on Pinterest and the link to the original site is now dead. If you know the original source please let me know so I can give credit where credit is due. 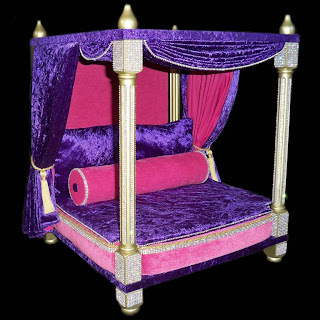 Big dogs like fancy beds too! Sarah with an H 's upcycled a kid's bed with polar fleece to make a dog bed for her pups. 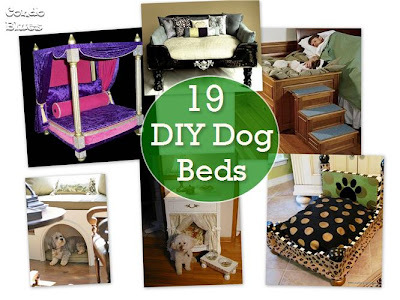 I have a friend who did something similar with a baby mattress for her big coonhound who likes to streeeeeeeeeeeetch out when he sleeps. Cheer up little pug. Your upcycled dog bed from a vintage TV is like a little apartment in your apartment! 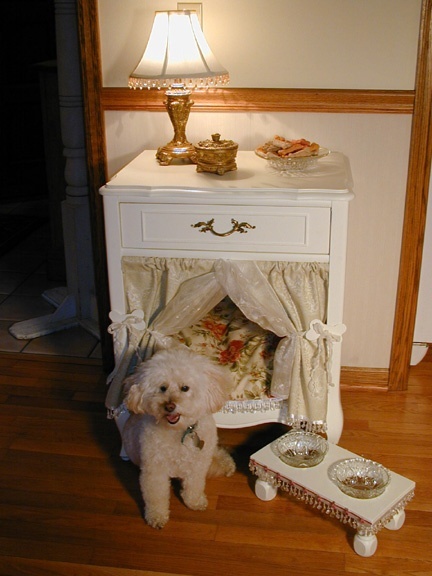 This night stand turned dog bed from Autumn Place Hearts is a great space saver. Lacey likes the girly girl design. And finally, when is a mousehole not a mousehole? 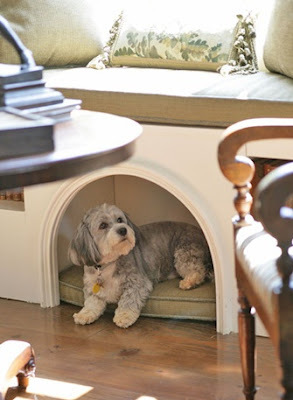 When it is a window seat dog bed. If you need more ideas for unique large and small dog beds check out the cute beds below! Some of these are hilarious, but my favorite is the vintage tv dogbed, without a doubt! 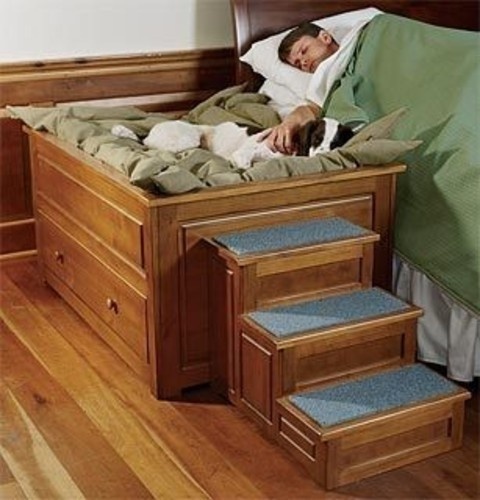 I've never seen the walk up along the bed bed and it is a super good idea. Not sure if it would work with our Jessie. 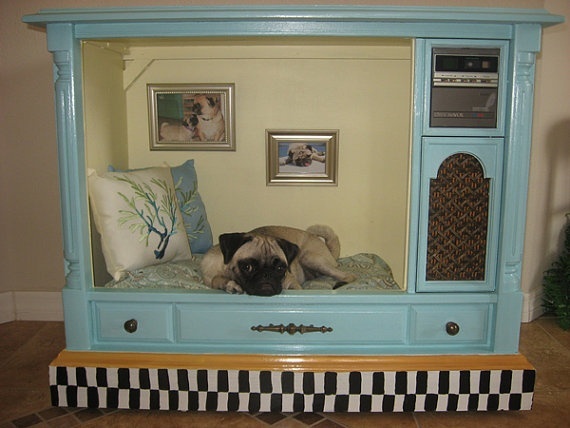 The pug in the TV bed is too freakin' cute! 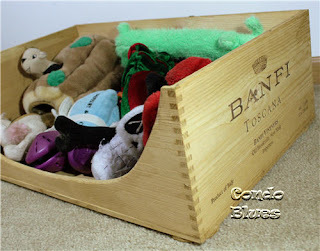 I love your wine crate bed and my dog would too as she could be surrounded by her toys. She tends to put her toys on her bed which is in the family room.